Nigeria has been, and continues to be, the scene of multiple conflicts at local, national and regional levels for at least a decade. These conflicts have led to the breakdown of the Nigeria as a country. Human lives are lost, infrastructure is destroyed, education and health services have suffered, and the environment is damaged. collapsed, and political tension is generated. In addition, socio-economic development is severely retarded as a result of the consequence of conflict. In conflicts such as these, the influence of the traditional African ethics in conflict resolution plays an important role in solving conflict in Nigeria peacefully, and in establishing positive conditions of Nigerians life, freedom, dignity, right and development. Moreover, the role of traditional African ethics, before the colonial period, was to consider moral conduct in terms of attitude toward life, and encompasses issues of human dignity and respect, within the understanding that an individual’s humanity interconnects with the dignity and humanity of others. Good is whatever protects and promotes human life, evil is that which destroys or alters human life. Life is the supreme value in traditional African societies, and expresses itself in respect for humanity. The basis of this concern for human life is the African belief in the dignity of every human being. One word expresses this notion of dignity: Ubuntu (humanity). 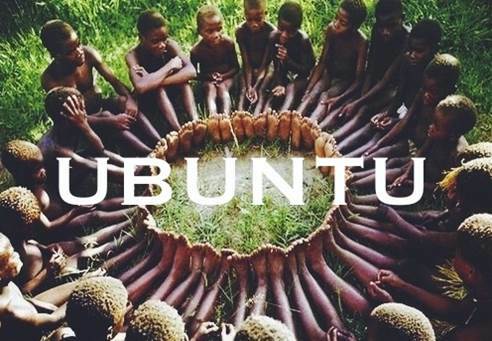 The concept of Ubuntu is the key to an understanding of traditional African ethics. It means weight, solidity, and consistency, as in the Hebrew notion of the Kabod of Yahweh1. In African ethics, a person fulfils his/her humanity (humanness) when he/she is capable of respect of own and others’ humanity. Kabod means glory. This word derived from the word deb or Kabed, which means heavy or weighty. It is also used for liver or heart, pointing to the internal source of life. Kabod can be paraphrased as “awe inspiring Glory, which incorporates, power, majesty, might and wealth. It is the notion of humanity that constitutes the foundation Ubuntu. Any conduct that does not respect the dignity of human life is bad; whatever contributes to the protection and the intensification of human life is good. Conflict in Nigeria is bad because it is a conduct of disgrace. It divides the Nigerian population by undermining interpersonal and social trust, above all destroying the social norms, values and institutions that have regulated and coordinated cooperation and collective action, for the well-being of the community. This makes it very difficult for both the social group and the state to recover their cohesion. Conflict disgraces human dignity and humanity. It does not intensify human life, instead conflict is there to diminish life and destroy infrastructure. It is, therefore, against this background that the study sought to examine the influence that Ubuntu can exert to solve conflict peacefully in Nigeria, to rebuild social trust, dignity, justice, unity, freedom, and development through reconciliation, in the light of Ubuntu as a world vision. Although the international community remains committed to supporting Nigeria through the resolution of its conflict, seemingly very little has changed to date. The country is still in conflict, as it threatens their existence, safety, security and moral dignity. Given this situation, it becomes vital to analyse the effectiveness of Ubuntu reflection on values, for instance consideration of the importance of human life, freedom, dignity and rights. The question is then: How could Ubuntu contribute in the resolution of conflict in Nigeria? The specific objective is to analyse the effectiveness of conflict resolution Nigeria through the influence of Ubuntu to promote peace, freedom, human dignity and development of the nation. Nigeria, to incorporate Ubuntu in the resolution of their conflict for the promotion of peace, freedom, unity, human dignity and development. Conflict resolution per se is very important on the African continent, and particularly in Nigeria, to ensure or to promote a better life. In recognising that a country in which effective conflict resolution mechanisms have been and continue to be sought, it is clear that undertaking an analysis of their effectiveness, in the light of African ethics in conflict resolution, is vital. Ubuntu could be an integral part of the process of achieving positive peace and promoting social solidarity amongst Africans, and the Nigerians themselves. The findings will assist policy makers and development agencies to ascertain the appropriate conflict resolution strategies for the promotion of peace and development in Nigeria. In addition, the study will be beneficial to other African countries in the sense that the results will indicate areas that need to be restructured, thereby improving the promotion of peace, human dignity, justice, unity and development, on the continent in general, and Nigeria in particular. Conflict is a fluid and ambiguous concept. In Latin, conflict means ‘clash or engage in fight’.Conflict is a multi-dimensional social process, which is a common and essential feature of human existence. When expressed and handled constructively, conflict can act as a catalyst for personal, socio-political and economic development and transformation. When expressed destructively, conflict fosters violence and affects human life, dignity, and development goals, which is the case of Borno State. Conflict may be either manifest inter alia recognisably through action and behaviors, or latently, in which case it remains dormant for some time as incompatibilities are unarticulated or are built into systems or such institutional arrangement as governments, corporations, or even civil society. Forster identifies three general forms of conflict. These are interstate, internal, and state formation conflicts. Interstate conflicts are disputes between nation states or violations of the state system of alliances while internal and states conflicts are conflict that is taking place within the state and that are posing a severe challenge to traditional conflict management techniques (it is a an intra-state violent strife). The international community has become increasingly concerned with the rise in frequency and intensity of internal conflicts, which are contributing to the expanding nature, sophistication, and at times legitimisation, of interventionist policies. Examples of internal and state formation conflicts include civil and ethnic conflict, which is detrimental to human life and dignity in Africa, anti-colonial struggles, secessionist and autonomous movements, territorial conflicts, and battles over control of government. Today, the focus of attention is on global conflicts, where non-state groups combat internal and regional organisations . Conflict can also be seen as a distinct category of social behaviour of two parties trying to get something they both want but cannot both have. Moreover, conflict can be apprehended as a potentiality or a situation, as a structure or manifestation, as either an event or a process. Hence, conflict is a social phenomenon where reality comprises multiform and interwoven potentialities, dispositions, and powers. This conflict refers to the prevailing pattern of political and violent conflict, and armed conflict refers to those that involve the use of force that is detrimental to human existence. Finally, conflict can be defined as the expression of disagreement over something important to both or all sides of a dispute. In this case, the important thing to grasp is that it is entirely dependent on the people involved. It depends on their having a particular point of view, which may or may not have independent facts and evidence to support it, and on how they behave when they encounter an opposing point of view. Thus, the desire to eradicate conflict and the hope for harmony and universal cooperation is the wish for a frozen, unchanging world, which has all relationships fixed in their patterns with all in balance. It is one in which we cannot hope or plan for a better tomorrow, but can only follow our inevitable course, which may be likened to the determined ups and downs of a wooden horse on a merry-go-round. Indeed, this study employs the concept of conflict, in broad terms, to describe violence, war, and all kinds of conflicts. 3. Resolve the differences so as to achieve solutions that are not imposed, which have been agreed to by all the parties in conflict, and which address the root cause of the conflict to promote peace, human dignity, unity, justice, and development. Conflict resolution has been developed as a field since the 1950s and its emergence as an interdisciplinary field can be traced to human relations and inter-group movements, which followed the Second World War. He further argues that the creation of conflict resolution, as an academic discipline and field of practice, grew out of industrial and labor management. Out of this movement, several intervention approaches are being developed and applied to different levels of conflict. However, the main processes of conflict resolution are conciliation, facilitation, negotiation, mediation, and arbitration. Indeed, not all conflicts are harmful. Some may ultimately result in a positive impact on development or social change, although conflicts have negative connotations, many constitute an essential creative element for changing societies and achieving peace, a better life, development goals, and aspirations of individuals and groups. The most effective forms of conflict resolution identify the underlying causes of the conflict and address them through solutions that are mutually satisfactory, self-perpetuating, and sustaining. Conflict resolution can also be practiced with a variety of emphases, including but not limited to cooperation, non-confrontation, non-competition, and positive-sum orientation. Serious challenges are found when parties at times favour, for various reasons, the continuation of conflict over its resolution. In such cases, the role of external parties can be critical in creating a balance of power, enacting sanctions or incentives, or acting as neutral mediators or invested facilitators. Hence, conflict resolution is a fundamental prerequisite for peace, justice, human dignity, development and stability throughout the world. The converse is also true in that unresolved conflict breeds underdevelopment and instability. The traditional African worldview of Ubuntu is based on the values of humanness, caring, respect, compassion, and associated values ensuring a happy and qualitative human community life in a family spirit. Ubuntu could be described as a community-based mindset in which the welfare of the group is greater than the welfare of a single individual in the group Individuality, the sense of self, is recognised as important in the concept of Ubuntu. This differs, however, from individualism, that seeks to promote selfish interests at the expense of others. The latter (individualism) would not be acceptable to the Ubuntu sense of morality. Ubuntu recognises four attributes of being human, these are human dignity, equality, universal brotherhood, and sacredness of life; these provide the most desirable state of life in community-based living. Ubuntu contrasts with the more individualistic and self-centred one of Western culture. Communalism at the core of Ubuntu implies that the interests of the individual are subordinate to that of the group. The community will focus on the interests of each individual member and those activities and behaviours that will ensure the good of the group. Ubuntu is a collective solidarity, meaning that individuals will align their interests, activities, and loyalties to the group’s cause and well-being. Ubuntu speaks about wholeness and compassion, someone who is welcoming, hospitable, warm, generous and willing to share.Ubuntu stands for a communitarian morality. The goal of that morality is dignity, reached through personal growth and fulfilment. The participation of the community is the essential means to personal dignity; hence, this participation is the motive and fulfilment of the process of morality. Thus, everything that promotes personal dignity and participation in the community is good; everything that prevents it is bad. The Ubuntu-attitude towards others is to treat the other as a self. There is no distinction between one’s own good, and the good of the community, as far as possible; everything is shared by the community. This attitude is the source of patience and of tolerance of differences between people. In traditional African society, the leaders were the shepherds of a classless people. This attitude could be called communitarianism, in the sense of fostering moral virtues, which bring people together to live in respect for each other in a way that defines self-respect. For oneself, Ubuntu takes the form of integrity, solidity or wholeness of character and spirit that is present in one’s judgments, decisions and feelings. This shows itself in confidence and endurance, in joyfulness and vitality, and in a general sense of one’s own value and dignity together with others. Thus, ethics is essentially a vision of mutual perfection and fulfilment. Ethics provides such an insight by guidance in the concrete circumstances of life. Like any moral ideal, Ubuntu provide rules, and guides Africans to live a good life daily. If conflict is caused by neglect of the health of the other and unwillingness to share wealth, Ubuntu can contribute significantly to the prevention of violent conflict. This is also true of conflict in Nigeria. The indigenous approach is an approach that evolved local institutions and mechanisms, through processes of internal as well as external dialogues, to respond to the emerging social, political, and economic situations. That is traditional African structure such as Ubuntu, which is based on the values of humanness, caring respect, compassion, and associated values ensuring a happy and qualitative human community life in a family spirit. In conflict resolution, the international community and the Nigerian government should bring the influence of indigenous African ethics, such as Ubuntu, to support conflict resolution in Nigeria, by including indigenous local leaders. In the indigenous paradigm, conflict resolution has to include the expansion of new methods of solving conflict in the African context, in order to promote peace, human life, dignity, and development. The goal of including new methods is to have valuable insights that can inform the rebuilding of social trust and restoration of the conditions for communal coexistence. Thus, peace, human life, dignity and development can only be achieved through the expansion of new methods of conflict resolution such as Ubuntu. Indeed, the indigenous approach constitutes the glue for socio-cultural and political cohesion. The existing conflict resolution in Nigeria is failing because there is no a proper resolution that is linked to the traditional African ethics to stop conflict in the country peacefully. Traditionally one of the five main branches of philosophy, ethics, enquires into human relationships in terms of the problem of good and evil, in other words, the values and norms directing human actions and interactions, participation of the community is the essential means to personal dignity; hence, this participation is the motive and fulfilment of the process of morality. Thus, everything that promotes personal dignity and participation in the community is good and everything that prevents it is bad. In other words, the moral possibility of Ubuntu is related intrinsically to human happiness and fulfilment within a community. This means the demand to participate in community, yet not only for the sake of personal fulfilment, but also for the sake of the fulfilment of the community, for only in the community is personal fulfilment thought possible. Could Ubuntu, in the sense of communal dignity, help end the conflict and install peace in Nigeria? From the concept of Ubuntu it proves that it could. From the moral concept of Ubuntu emerge several demands for peace and the promotion of human life and dignity. Firstly, the demand is that Nigerians should choose to live together in the traditional spirit of brotherhood; a community where mutual respect and solidarity for the sake of the health and wealth of the other is highly valued. This means a return to the communitarian spirit, observing and obeying the rules of society for the harmonious adjustment of the interests of the community rather than individuals, this instills the love of nation first before selfish interest. This presupposes settled agreements within the community, and such agreements should not exclude anyone, rule of rule should be applied on everyone. This is the minimum ethical behaviour required from people in support of the community. Second, Nigerians should be generous, hospitable, and honest amongst themselves in fostering the health and wealth amongst each other. Concretely, this means that they must share the resources of their community and no one should be below anyone else. They should all be equal, because equality is the most basic principle of Ubuntu morality. Nigerian leaders must know that killing innocent people for their personal gain is not permissible. The search for personal gain or interest is not in accordance with Ubuntu. Practically traditional models of conflict resolution, aligned to Ubuntu, should be explored. Such models should aim at the reestablishment of relationships between the Nigerians. There must be a holistic approach to the process, in which the whole community should be involved, to assist on the road to peace. Nigerian leaders’ responsibility is to guide conflict resolution processes towards an agreement, which should reflect, as much as possible, the consensus of all the parties involved in conflict. Furthermore, Nigerians should develop a form of communalism in which all the ethnic groups will find a collective role and space in society, inclusion and equity. It is most particularly in this respect that the concept of Ubuntu could be re-articulated in the Nigerian context. Nigerian ethnic groups should share in the values of Ubuntu, the values of collective solidarity, cohesion, compassion, care and collective stewardship. Nigerians, as a people, ought to define themselves in a positive and collective sense before the international community. If they focus on their similarities and not on their differences, they can achieve this sense of a shared identity and fate. After all, how different are the Hausa/Fulani from the Tiv; or how different are the Yoruba’s from the Igbo’s? Indeed, Nigerians should experience the exciting meaning of humanist communitarianism to avoid conflict between them. Indeed, Nigerian leadership’s task is to create inter-ethnic trust and to overcome the tragedy of ethnic conflict. They should create a climate among their civilians conducive to a peaceful negotiation of an end to armed conflict, a climate of social dignity – a climate of humane communitarianism. Thus, Nigerians need to develop the spirit of Ubuntu in their society by respecting and accepting the values and principles, which should be the basis for creating a collective shared communal identity. It is also the task of Nigerian leadership to craft, canonise and permit the values of Ubuntu to work in their society. This will help Nigerians to articulate a shared vision of Ubuntu, which will act as a compass in the sea of confusion created by conflict. The appeal of Ubuntu ethics to Nigerian people is to reconsider the value of re-appropriating traditional African values, based upon the spirit of humanity manifested in sharing, caring and advancing the good of society, in order to restore the authenticity of the philosophy of communitarianism, as it is believed to have existed some centuries ago. This article has attempted to articulate the influence that African ethics can bring to address the challenges of conflict resolution in Nigeria. It has highlighted the need for the traditional African ethic approaches in conflict resolution. It has tried to define the concept of conflict and conflict resolution, and described the African ethical approaches, in the light of Ubuntu, to conflict resolution. In my own view, Ubuntu establishes a new restructured socio-political order of continental and national unity with a common citizenship, giving rise to a new constitutional order where the law reigns supreme where all shall enjoy and exercise their fundamental rights and freedoms. This is exactly what Nigeria needs to reach self-fulfillment, peace and shared aspirations, thus solving the nation’s problems.